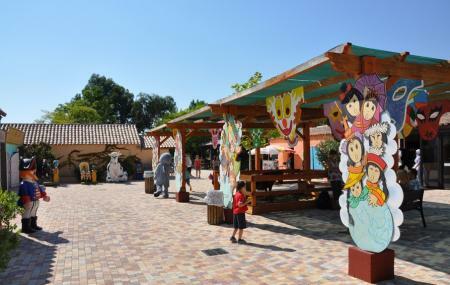 The La Ferme du Far west is a theme park neighboring the famous Marineland serving as a great joyful attraction for kids. The park is home to donkeys, ducks, ponies, guinea pigs, turkeys, geese, cows, budgies, rabbits, sheep, guinea fowl, pigs, rats, alpacas, pheasants, goats and more. The park also houses several restaurants and snack bars. In all an entertaining attraction and a much recommended visit. How popular is La Ferme Du Far West? People normally club together Halles Market and B Spot while planning their visit to La Ferme Du Far West.